2. To what news story do all three cartoons refer? 3. 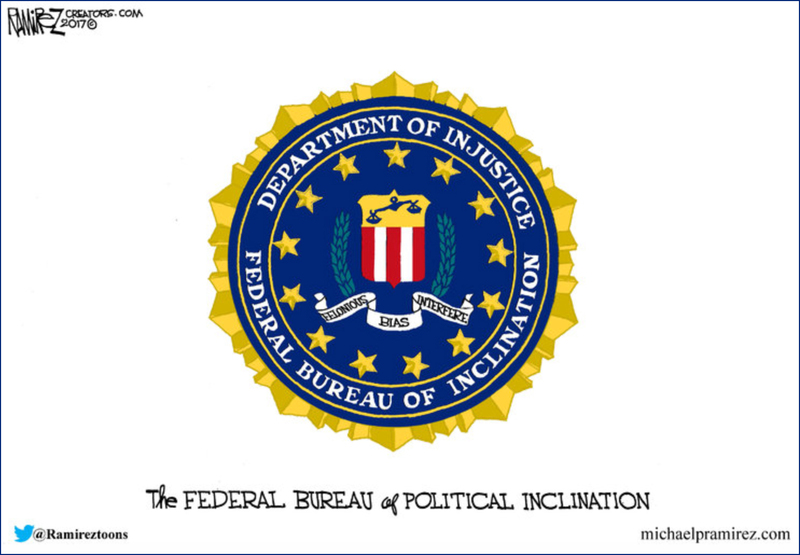 Former FBI and DOJ officials told The Hill that it was possible for FBI agents to hold political opinions and still conduct an impartial investigation. What do you think? 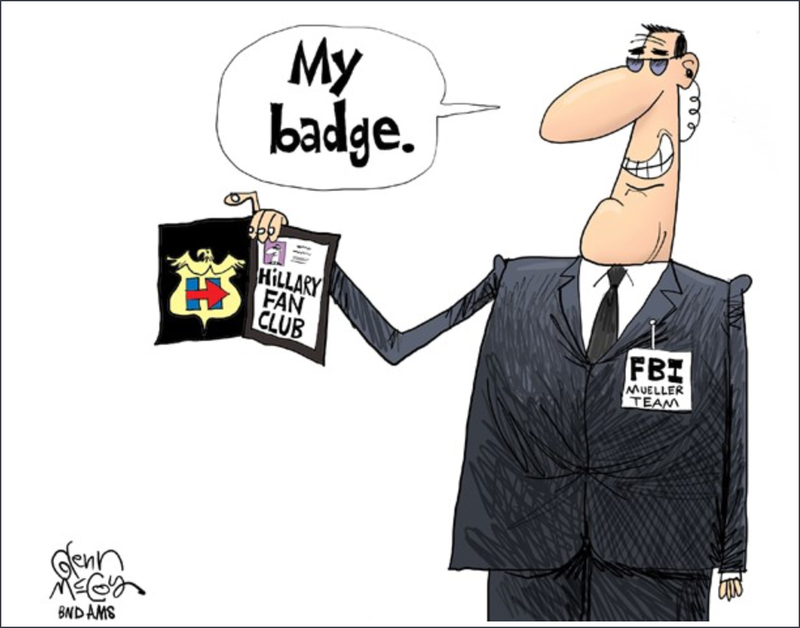 Can an FBI agent hold such strong political opinions like Strzok and still conduct an impartial investigation? Explain your answer. 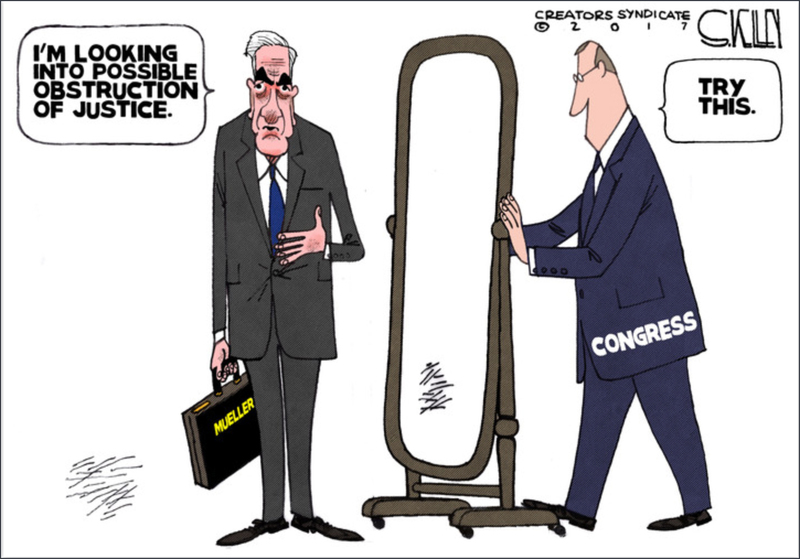 It was revealed that 90 percent of Mueller’s team of FBI investigators donated to Democratic campaigns. It was also recently revealed that two FBI officials working on Mueller’s investigation had exchanged many anti-Trump text messages throughout the 2016 presidential campaign. The FBI’s Deputy Assistant Director, Peter Strzok, who conducted the interviews of Hillary Clinton and her aides during the investigation into Clinton’s use of a private email account and private server while she was Secretary of State, was revealed to be, through his own text messages, a fervent supporter of Clinton who hates and despises Donald Trump. In all, more than 10,000 messages were turned over to the Justice Department watchdog. The messages show the Deputy Assistant Director praising Clinton and included discussions of how to “protect the country from that menace,” referring to President Trump.